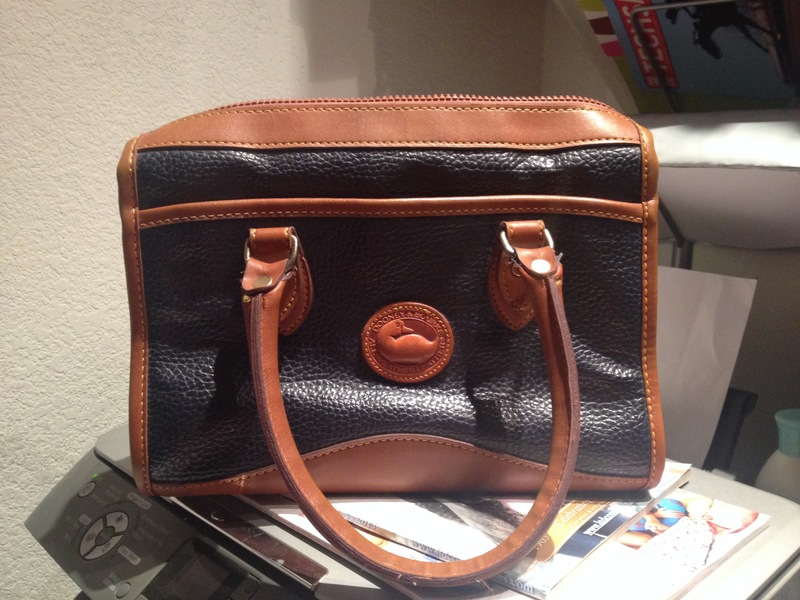 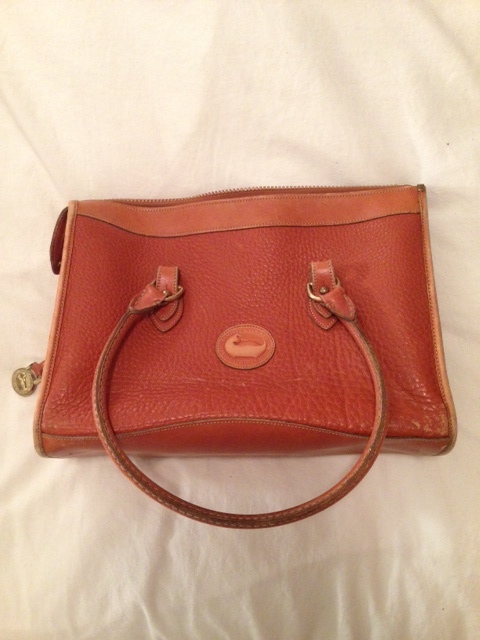 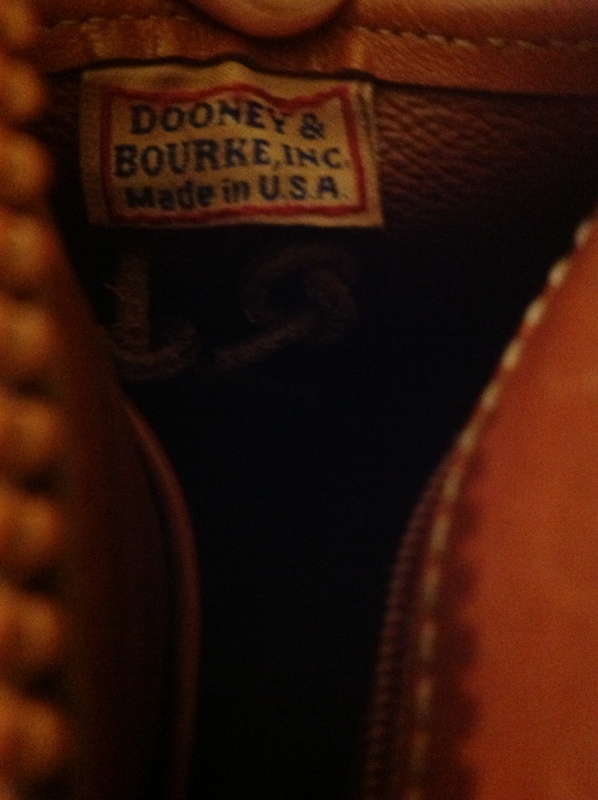 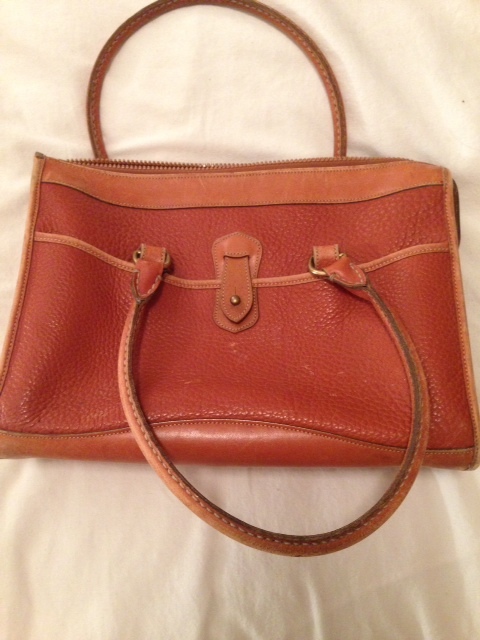 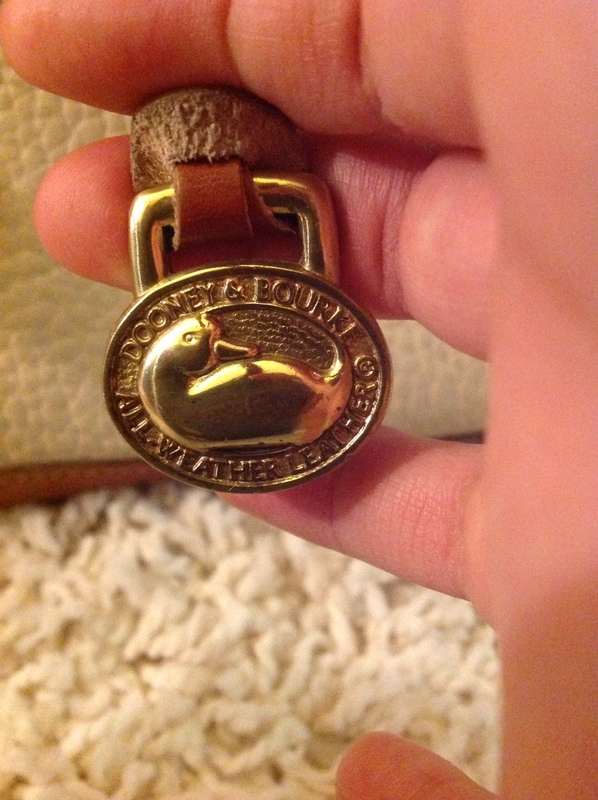 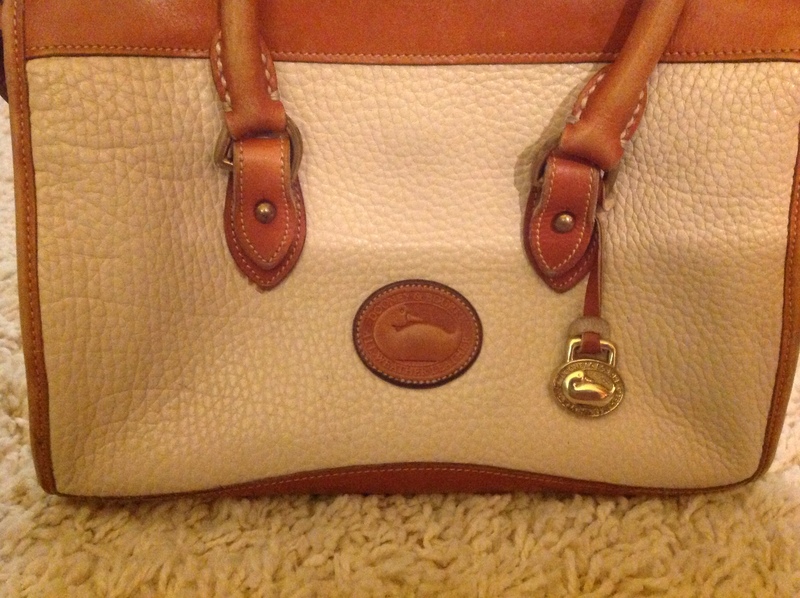 Is this $3.99 thrift store bag an authentic Dooney & Bourke? 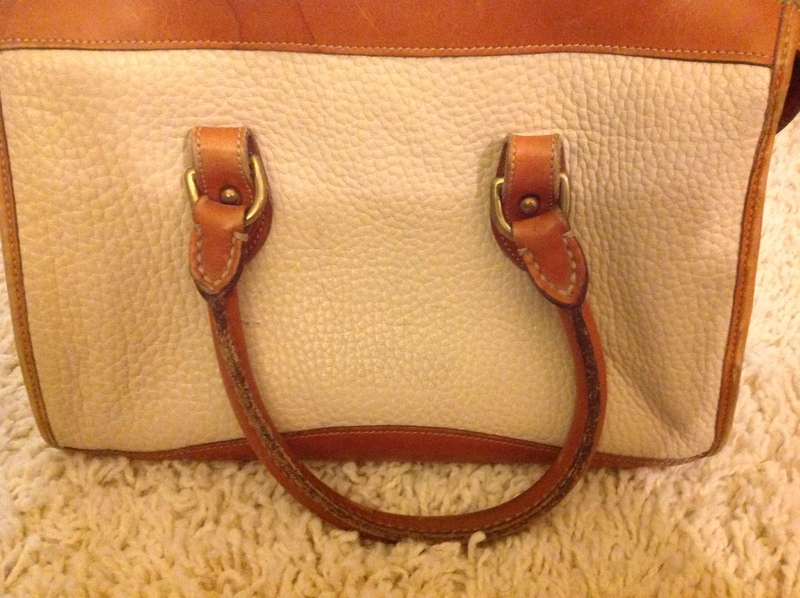 I bought this bag for $3.99 at a thrift store. 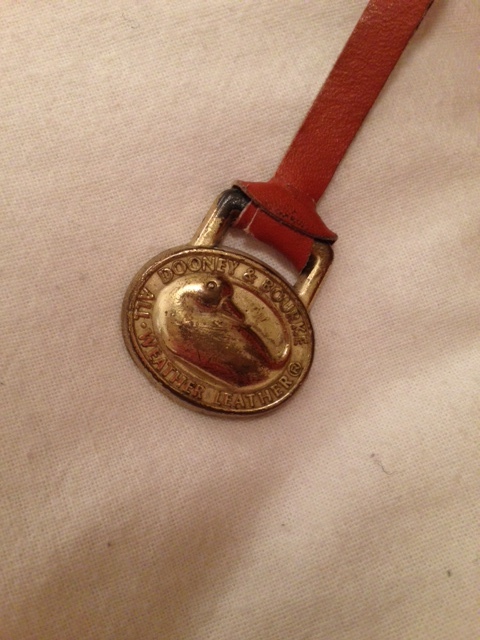 I thought it looked to be in ok condition (needs a good cleaning), but was wondering about the authenticity of it. 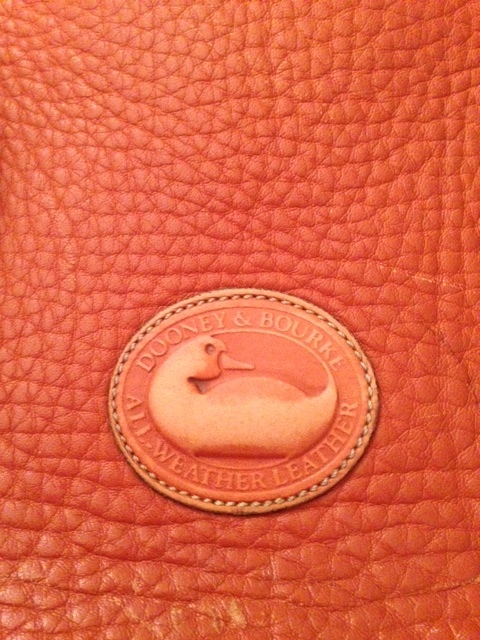 There is no tag inside, but I’m still hoping this could be authentic. 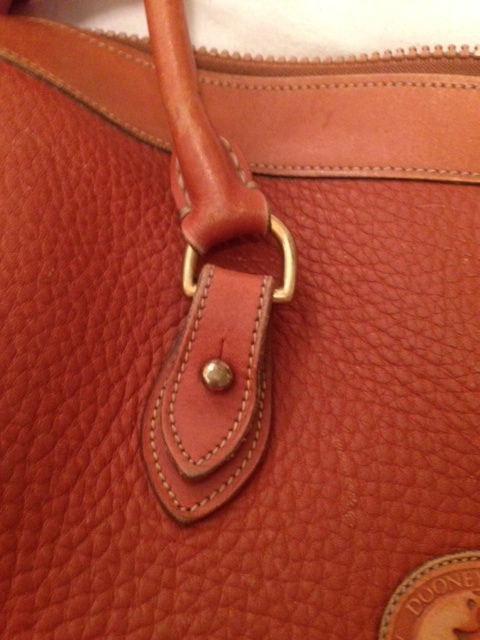 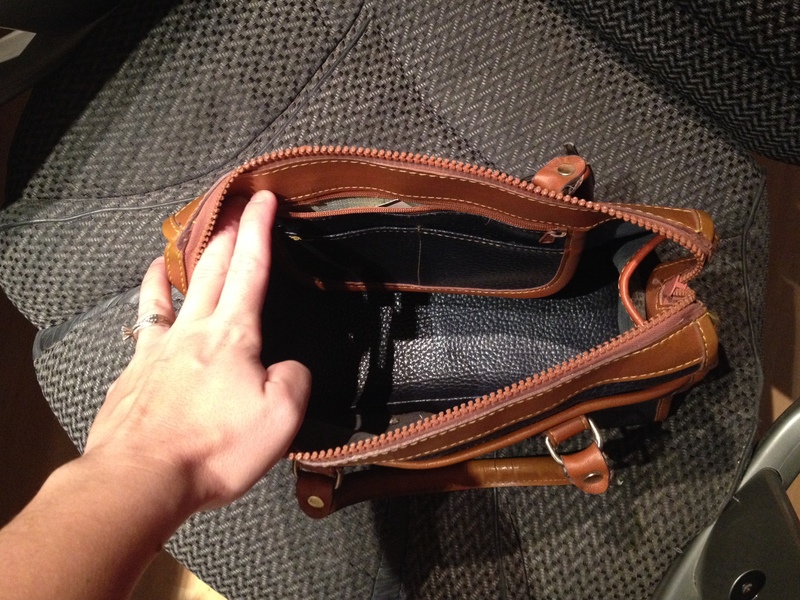 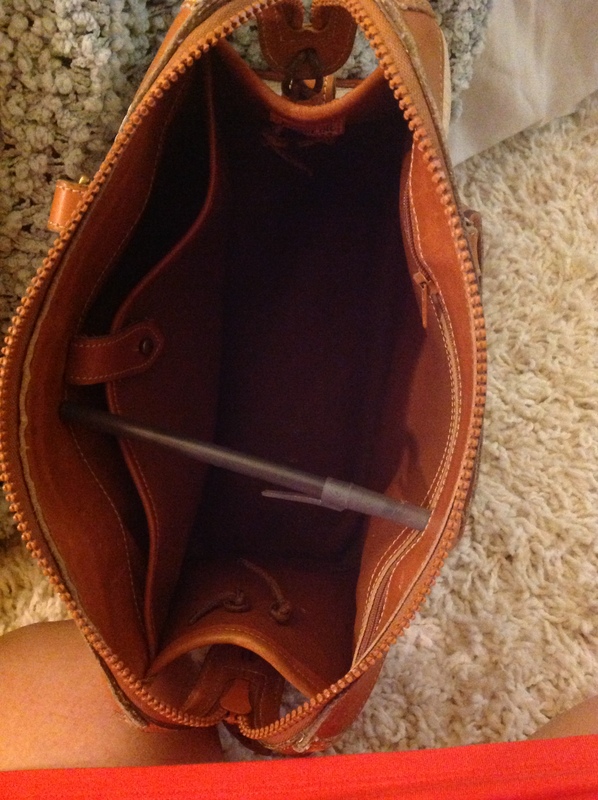 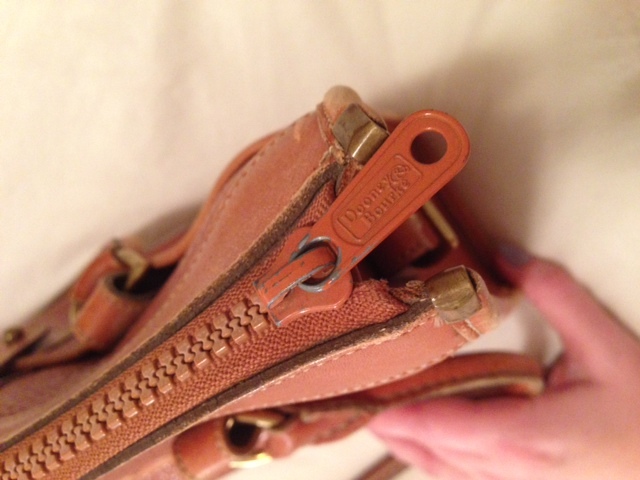 The handles are riveted onto the bag permanently instead of being able to be unbuckled. 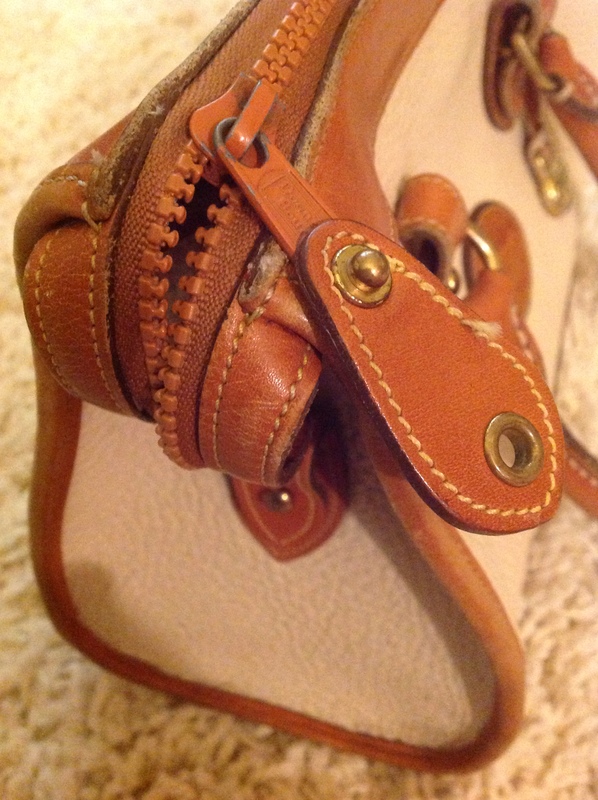 The way the handles are put together, the stitching and the edges. 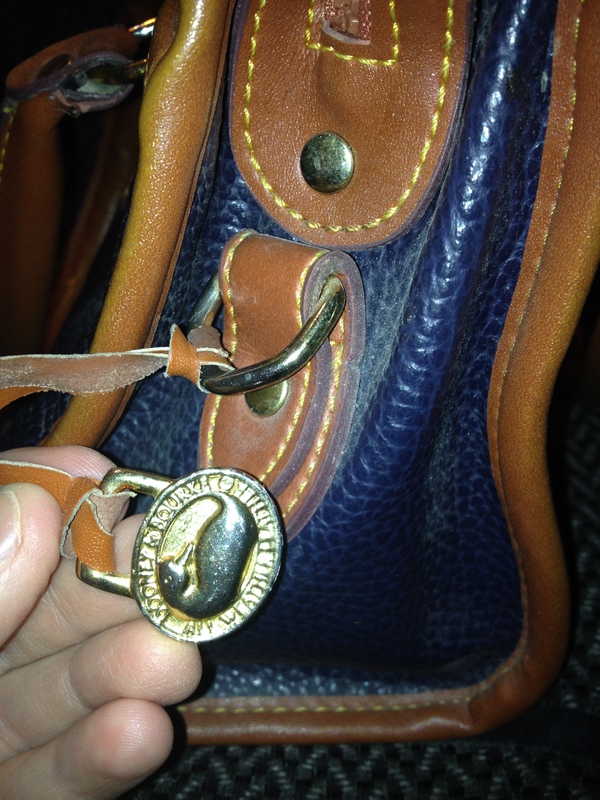 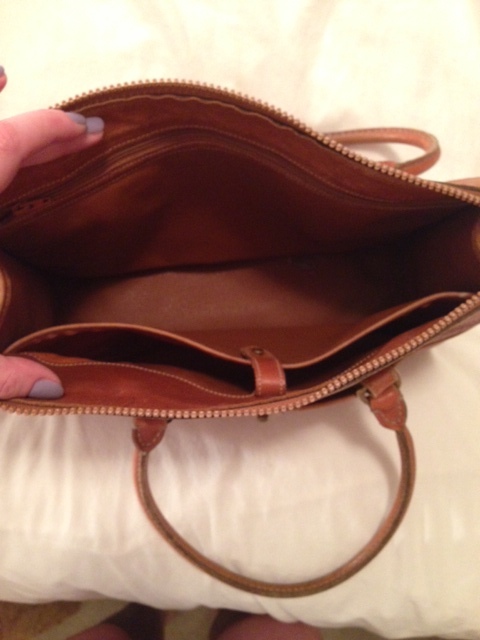 Here is a satchel that the counterfeiters were likely trying to copy although there are several authentic satchels that are similar in features, just different in size. 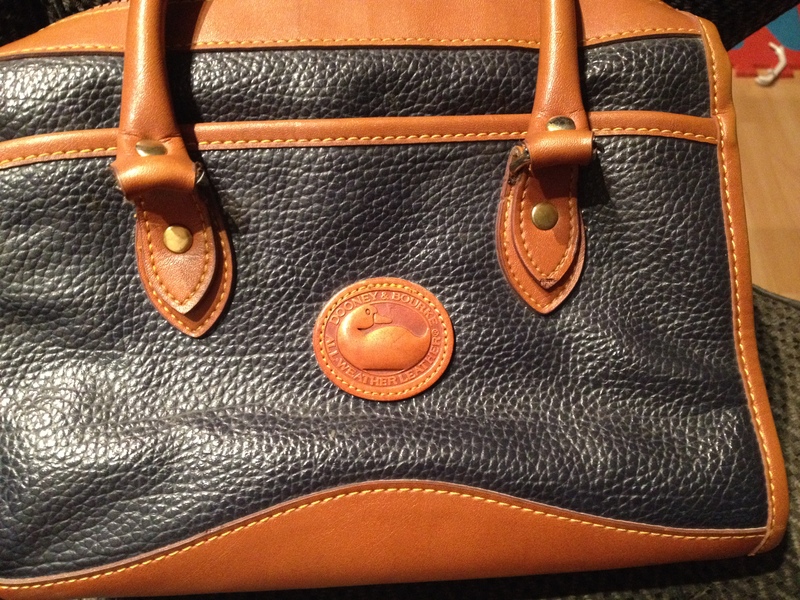 Click on the photo so you can compare the details to your bag.